we have gluten free non-gmo popcorn kernels! colored by nature, red, blue, pink and more. 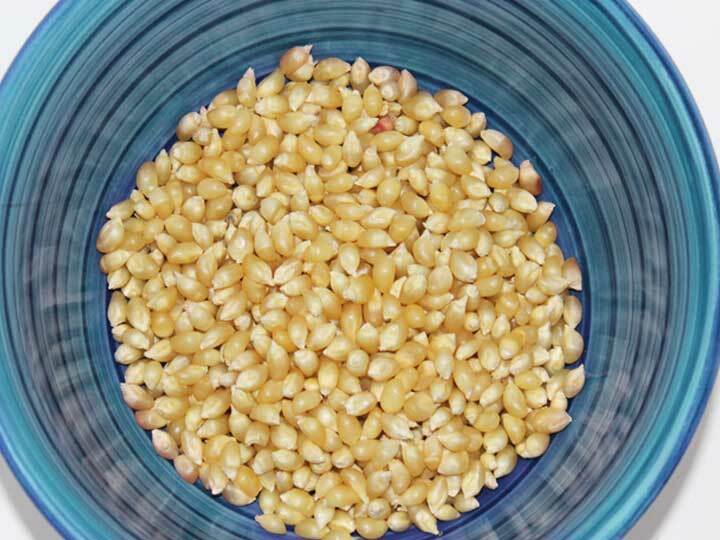 The reason that few farmers grow the colored popcorn kernels is that the yield in the field is significantly less than the regular yellow butterfly popcorn. 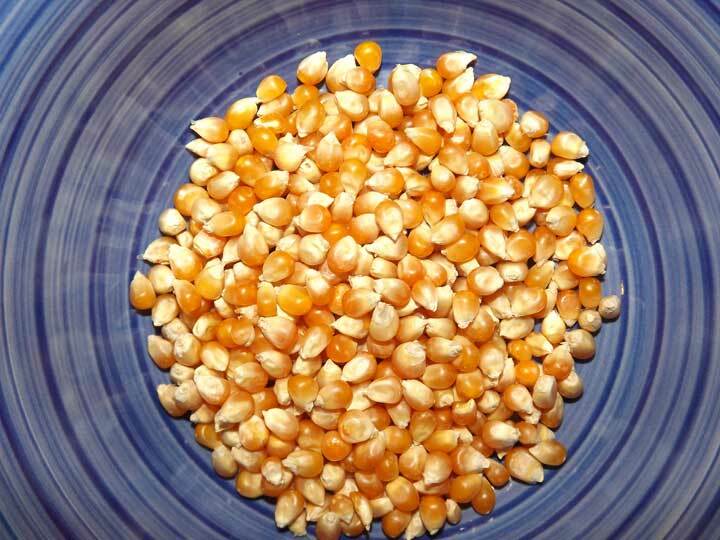 The colored popcorns are our niche, we don't want to compete with the Big Boys with their mass producted popcorn. 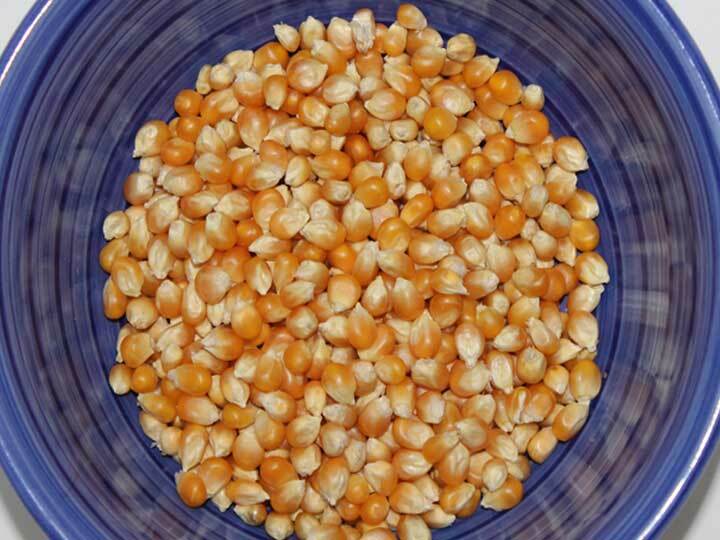 Is our premium yellow popcorn variety with an exceptional yellow corn taste and a high expansion rate, popping big and fluffy and melting in your mouth. 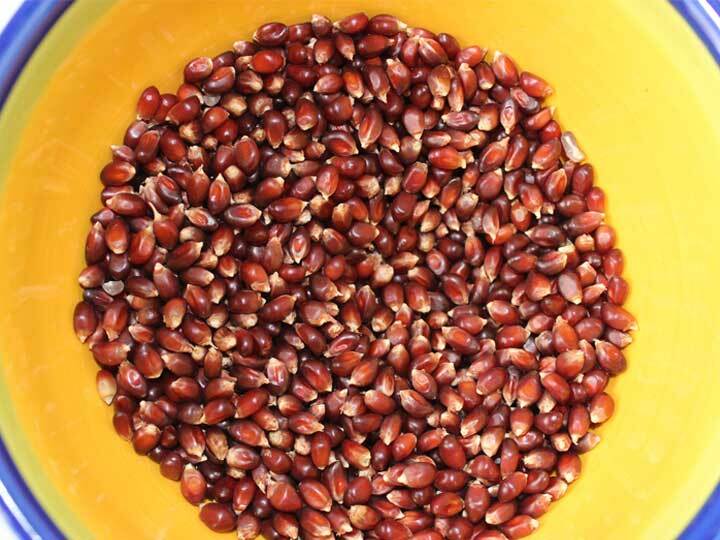 Is a butterfly popcorn variety, a smaller kernel popcorn, it has a great yellow corn taste with a medium expansion. It looks like the above Monarch but with smaller kernels. Is a smaller kernel popcorn than the yellow, still with a relatively high expansion rate, popping up fairly large and fluffy and tender. It has a mild popcorn flavor. Is a medium kernel blue popcorn with an good expansion rate. After it's popped, the kernel is white with blue hull speckles; it has a unique flavor. 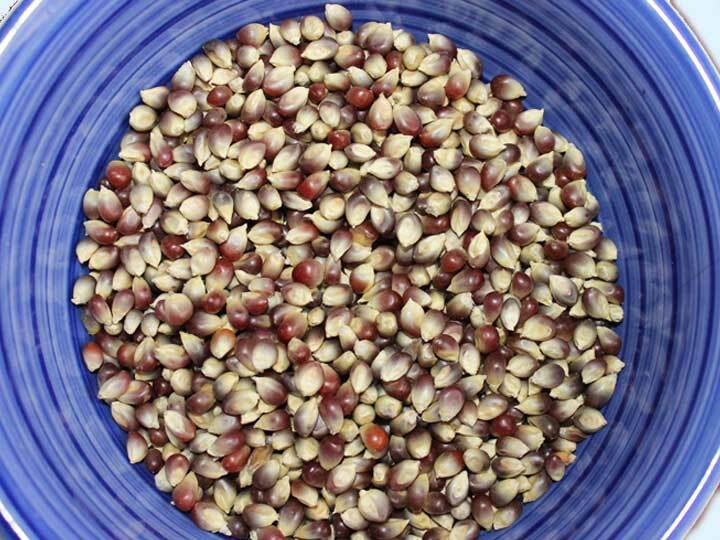 Is a smaller kernel red popcorn also with an fairly high expansion rate. The kernel is white with red hull speckles. It has a rich, nutty flavor. Is an heirloom variety which is HULL-LESS. 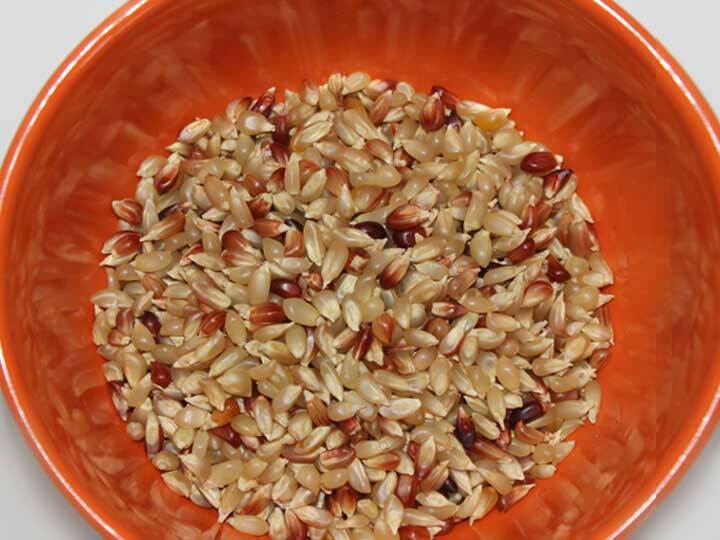 The kernels are shaped something like rice and are white, red, and striped red in color. When popped, it has less volume than other varieties, the kernel is white and the flavor is light and delicate. 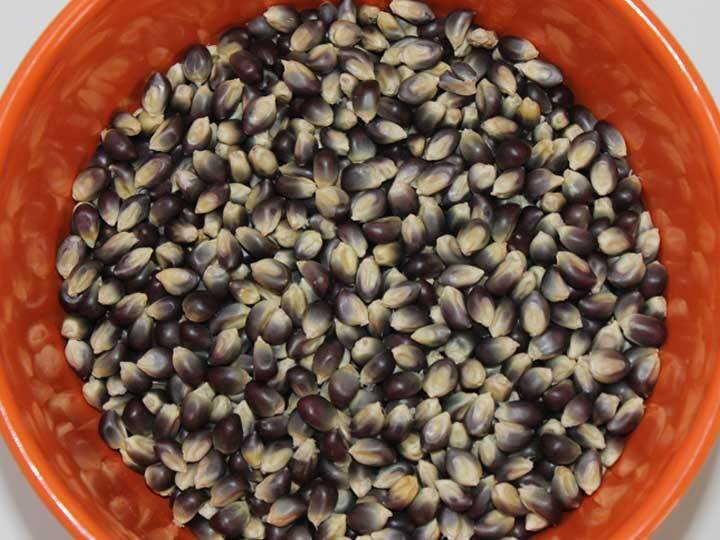 Is a premium hybrid variety which is one of our favorites. It's color is a dark pink.It has a moderate pop, and is tender and very tasty! The meat is a two-toned white to creamy in color. This popcorn pops up round; it's used mostly by people who want to carmelize popcorn. Once popped, it better holds its shape during stirring or mixing than other types. It has a stronger corn taste than yellow butterfly popcorn, and it is less tender. Our "Big Balls" variety which is what we have now, is the biggest and roundest we've ever grown. Not for general eating as it's a tougher kernel. Is an heirloom white popcorn, smaller than the yellow, pops up fairly large and tender. It has a mild popcorn flavor. Small and tender, relatively hull-less. We grow only occasionally as it's very difficult to harvest with our equipment. WE HAVE HALF-POUND, ONE POUND AND TWO POUND BAGS OF POPCORN THAT YOU CAN MIX AND MATCH AS YOU LIKE OR GET A STANDARD VARIETY PACK. WE ALSO HAVE BULK QUANTITIES. We package our hybrid and heirloom varieties in oxygen barrier bags so they stay fresh. At home we pop in an air popper so nothing interferes with the taste, then add toppings. So, for the best popcorn make it fresh on the stove or with an electric popper.It's a whole grain snack with nothing but what you put on it. You'll be a people magnet wherever you are for the smell alone! 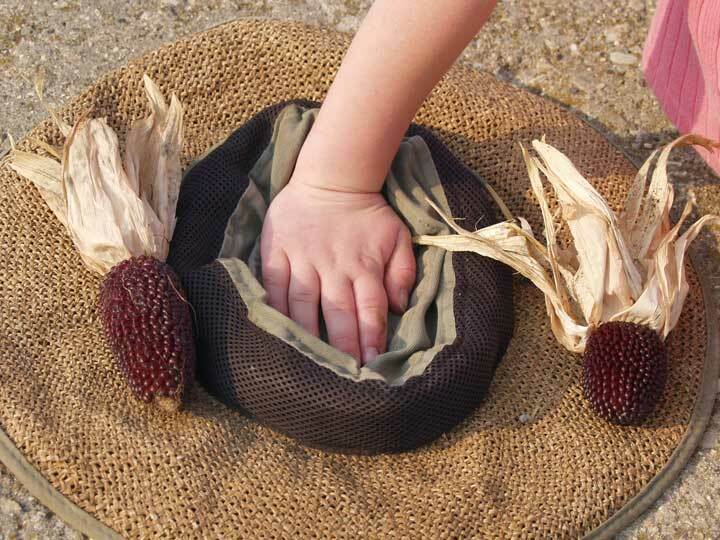 The popcorn that we pop and eat is the seed of a grain. Our popcorn is processed in our facility which also may process soybeans.